Personal service to the Exmouth community and further afield. with a free retest if needed on your vehicle. Book yours today. our friendly team of experts are happy to help, whatever the problem. used car range on our forecourt. Take advantage of our free collect & return service within a 10-mile radius of Exmouth for servicing and MOT bookings. Offering a truly personal service to the Exmouth community and further afield. 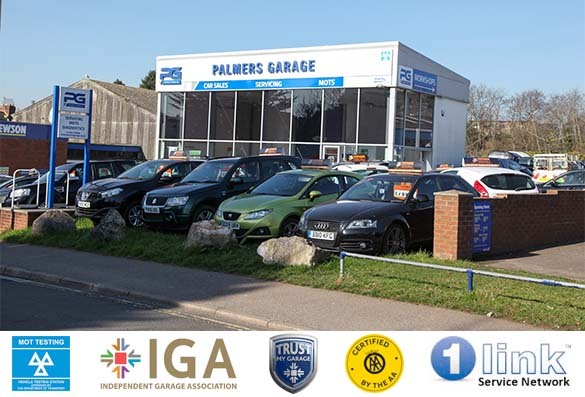 Situated on Withycombe Village Road in Exmouth, Palmers Garage offer a full range of services from car sales, vehicle servicing, MOT testing, diagnostics, tyres, exhausts and general mechanical repairs on all makes and models. Our expert team are always on hand to offer sound advice, whatever your needs. If you want to speak to us about booking in your car for a service and MOT or for any help & advice on a mechanical issue, please call us on 01395 270008 today. Would like to highly recommend Palmers Garage Ltd. Had my MOT done there today and they were so happy friendly professional and helpful. I will continue to go there and will continue to recommend them. Excellent service! Glad to have finally found a good, honest and reliable garage .